Should You Vend Cans or Bottles? Each time you buy vending machines you face a choice: should you buy machines made for bottles or cans? There are benefits and drawbacks to both options and which you pick will ultimately lie with which factors matter most to you. One of the biggest advantages of cans over bottles is shelf-life. Canned drinks can last for months longer than those in bottles. This gives you the freedom to buy in bulk and perhaps get lower prices on your stock. Bottles have the advantage of offering a higher profit margin. 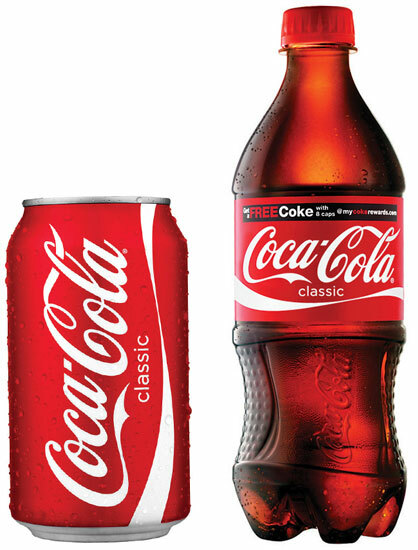 Plus, many customers prefer bottles over cans because they can be resealed. However, many vendors have found that their suppliers require larger orders for bottles than can be sold before they expire. If you are still building a high-traffic route, it may make sense to wait on bottles until you are better established. In the end, one of the best options can be drink and snack machines that hold either bottles or cans. This gives you the freedom to balance your stock depending on your location, adapting to fit your current vending clients’ needs. Whether you are expanding or just starting out, mini vending machines are a versatile option for your business. These machines fit where larger machines can’t, allowing you to get into spots you might not otherwise have to pass by. The small and light machines are easier to move than full-sized models. And, their low power usage means they cost less to operate. But, the small size still allows for a lucrative assortment of snacks. eVending’s table top model can hold 14 separate offerings to appeal to a range of tastes. Compact snack machines mean that your snacks are right there are the break room table for customers to enjoy. This convenience eliminates the need to possibly move between a vending area and a break room where meals and snacks are actually consumed, giving your customers more time to relax during their breaks. When it’s time to buy vending machines, include mini vending machines in your research. eVending has both full size and compact vending machines for sale on our site. According to a study conducted by the Pew Research Center, 56% of internet users have searched for themselves online. Often, when people think about others searching for themselves on Google they think that it is an exercise in vanity and that they just want to see their own names on their computer monitors. Increasingly though, people are having to search for themselves in order to maintain control of their online presence. Searching for a person online is an easy way to quickly gain information about the person and if your search results are not positive, this can damage a potential employer’s view on you. For small businesses, searching for your own company on Google can help you find information that may be helping or hurting your business. If you own snack machines from eVending in various locations but don’t have an online presence, searching for “vending machines at (location)” can help you find if anyone has commented about them. Searching for the building or location your vending machines are in as well can often lead to discoveries of helpful news or reviews. If you don’t like what you see online about your business, or if you don’t see anything at all, you should be proactive and engage with customers and communities online to help create a positive image for your business.